RPC Property Management Wigan is up and running. 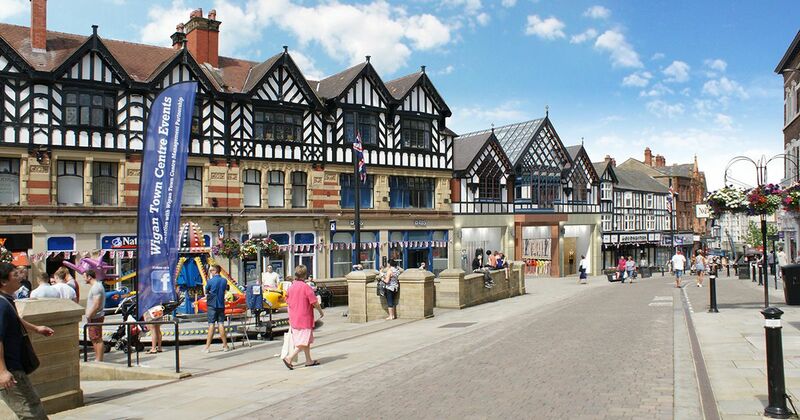 Wigan is the largest Metropolitan Borough within Greater Manchester, and RPC Property Management Wigan runs from our office in nearby Horwich to help with Property Investment in Wigan. Wigan, famous for its Wigan Pier on the Leeds and Liverpool Canal, Wigan Athletic Football Club and Wigan Warriors Rugby League Football Club is also a popular spot for Landlord investment and the rental market. RPC manages properties in Wigan and has a waiting list of tenants looking for accommodation. If you are a landlord looking for an agent, RPC Property Management Burnley are now establishing ourselves in Wigan and will be delighted to help you maximise the success of your investment. RPC offer full management that includes finding and vetting tenants, rent collection, property inspections and reports, repairs and maintenance and dealing with the day to day management. In addition RPC offer a competitive refurbishment service using skilled and experienced contractors to bring your property up to HSSR standards and above. We are very pro-active, on the road every day visiting properties and keeping an eye on the neighbourhood. We have a wide range of tenants in the properties we manage, from private tenants working in trades and professions to housing benefit tenants on Universal Credit. Our office hours and Monday to Friday, 9 to 5, and we are always available for emergency calls out of hours and on weekends. Established in 2003, we are now into our 15th year of trading and this track record gives us a wide range of experience serving Landlord and Tenants. We are proud of our record of helping Landlords turn their buy-to-let investments into profitable property portfolios yielding excellent returns on investment. If you would like a "no obligatioin" conversation about your existing rental units - or if you are thinking of moving into the rental market, we will be very pleased to meet you. Just email us at info@rpclettings.co.uk or ring the office on 01204 699277.